Follow Shot of Mom on Pinterest! Tell Sue to keep pinning good things! Reader Erin isn’t the only one that said they love what Shot of Mom Pins. 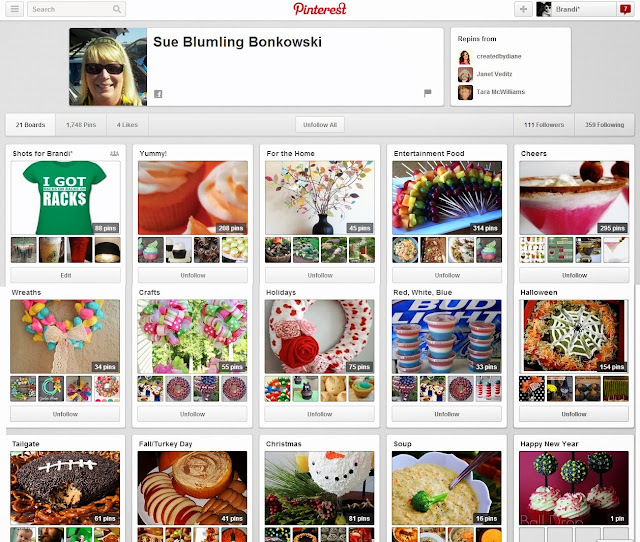 Therefore, I wanted to let you all in on Sue’s Pinterest boards! You can follow her here. Shot of Mom’s boards range from food, crafts, drink recipes, holidays and more! She pins on a frequent basis and has a following of more than 111 people!